For those of you who know all Daughter and Florence and the Machine records by heart, for those who desperately need something new to indulge in and to dream to, for those who have impatiently been waiting for a new record to transport them into another dimension – your time has come. 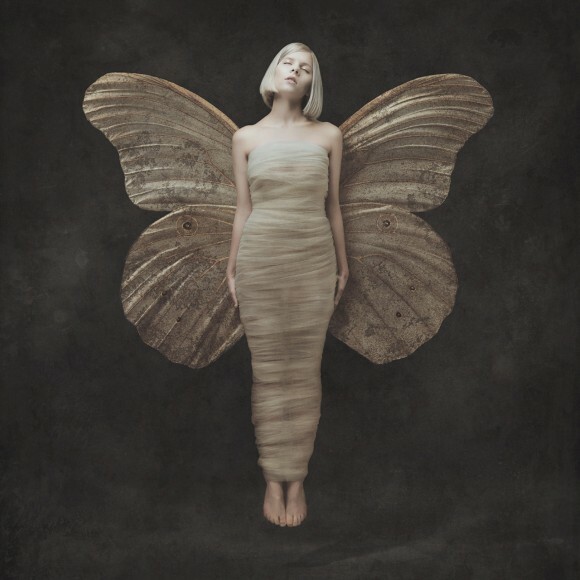 AURORA, a 19-year-old singer from Norway, has just released her first album and it’s incredible. All My Demons Greeting Me As A Friend is a very strong debut that pulls you right in and won’t let you go for a very long time. “Conqueror” or “Running With The Wolves” are tracks that I’m sure many of you have already heard of, catchy tunes with a modern pop vibe. Most of the songs on the album are rather deep and heavy though. Contemplative lyrics that deserve your full attention are being carried by dreamy melodies and Aksnes’ magnificent voice. The 19-year-old can switch from sweet and angelic to powerful and insistent within a second. Her voice control is beyond compare and absolutely astonishing and clearly puts the musical arrangement in the second place. All My Demons Greeting Me As A Friend makes you want to walk through the dark and reflect on your life in a way that is only possible late at night with a good record playing in the background. Songs like “Lucky” and “Through The Eyes Of A Child” might make you shed a few tears, but what remains is an almost transcendental feeling and the wish to let go of your demons, follow your instincts and run with the wolves tonight.